To start with, ‘Daphne’ is a beautiful name. In Greek mythology, Daphne was a minor goddess (possibly some sort of Artemis-like huntress) who was pursued by the lusty Apollo. Unable to outrun him, she prayed to the gods to help, and they turned her into a laurel tree so that she was safe and, according to Ovid, ‘only her shining beauty was left’. Like Apollo’s twin sister, Artemis, she is a symbol of female courage and purity, vowing to remain a virgin. Du Maurier wasn’t a ‘Daphne’ archetype, but she certainly had courage and beauty.The Greek Daphne remains a symbol of purity (in whatever sense) and bravery, as well as a refusal to give in to others’ desires. As we shall see, Du Maurier always did her best to do as she pleased. When reading Rebecca, the new Mrs De Winter always made me think of Du Maurier herself – reserved and inexperienced (when young) but with a beauty that was subtle yet striking. 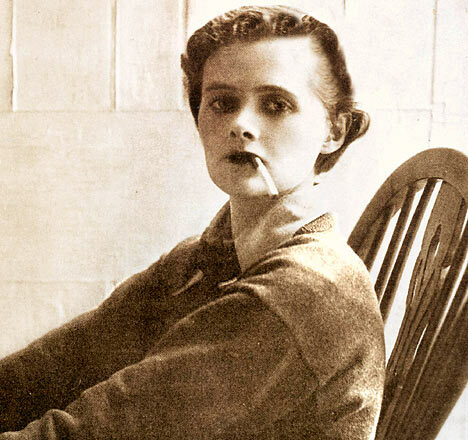 Her quiet energy is what draws Maxim to her, and these qualities can be seen in Du Maurier herself. A tomboy with bright, wide eyes and striking features, her photographs are oddly engaging. Her face is attractive because it is beautiful, but also because it seems to have something more mysterious hidden behind it. 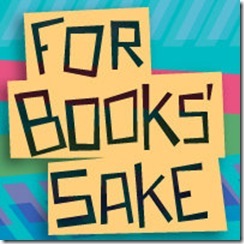 Read the full article here on For Books’ Sake. Pingback: A day of discoveries | Can we re-Kindle Our Love for The British Bookstore?